What do you do in a small town that is the coldest spot in the whole country? What do you do once you need to get out, when cabin-fever is upon you? You go where your soul will get even more soul-food! 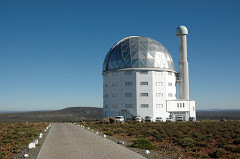 You go to the top of Verlatenkloof Pass, Roggeveld Escarpmentor to watch the stars at midnight from any vantage point. 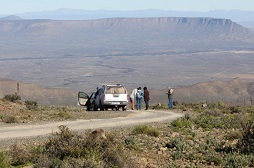 To get the heart racing you may want to go up the Gannaga Pass which consists of a single-track road that rises precipitously up through 700 meters of Roggeveld escarpment in a 6 kilometer stretch of dramatic switchbacks, which may not suit the fainthearted. You can even visit the Observatory to do some serious star-gazing. Let yourself go, breathe in the freshest, purest air in the world. Be selfish for a change. Get your game up to par on our 9 hole golf course, or use the tennis courts for more vigorous activity. Relax with a walk on any one of the numerous paths. Do what you normally would not be able to do at home - RELAX! For those who enjoy a bit of botany, a very rare plant called Olifantsvoet can be found in the Verlatenkloof Pass. The Sterboom which is only found in this area is also a big attraction. In the Tanqua Karoo National Park a very healthy Tylecodon Paniculatus or Botterboom forest can be found. In flower season the whole area is covered by nature's cloth - the most beautiful flowers imaginable, including the beautiful Namaqualand Daisy. In the Tanqua Karoo National Park you should be on the lookout for the Black Eagle, Klipspringers and various other wildlife. A huge variety of bird species is not to be missed. Specimens like the Burchell's Courser, Namaqua Sandgrouse and the Spike-heeled Lark will keep you occupied for hours. A total of not fewer than 18 endemic species make this area a birder's paradise. "But what about the rest of us", I hear you ask. 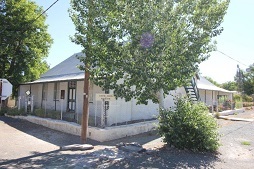 Well, Sutherland, the town sports two big general dealers, a co-op, liquor store, museum and the Dutch reformed church which is the building the town was built around. For the more passive among us, you can rest assured with the knowledge that Sutherland is proud to have it's own hospital, police station, schools and a rich religious culture. So, why not come and relax in our midst? Yes, I said relax, relaaaax. RELAX I SAID! There, that's better. Now, how about some coffee with nice home-made rusks?